Suriya who is currently shooting for Singam 3 (S 3) in Madanapally in Andhra was reportedly getting back after the shoot to his hotel when he saw a lady involved in an accident. It is said that the actor immediately sent his driver and staff to take the lady to the hospital and was even said to be paying her hospital bills. Suriya - "Please don't ask me about 24!" This page hosts a weekly slideshow related to Tamil movies. Each slide includes a picture and some description about that picture. All the slides will have a recurring theme. People looking for actress stills, actress images, actor stills, actor images, movie stills, movie images, and other interesting topics, relevant issues in Tamil cinema will find this page useful. 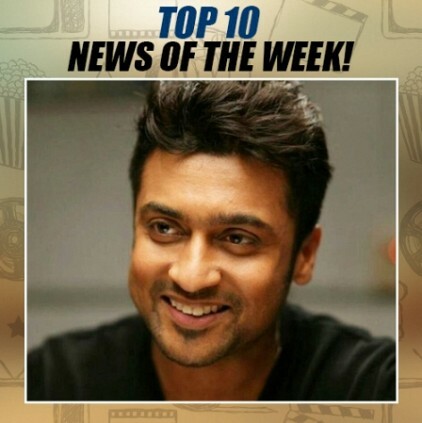 SURIYA TO THE RESCUE ONCE AGAIN | Top 10 News of the week (Apr 03 - Apr 09).